Creo PTC prides itself on being the industry leader when it comes to 3D CAD software. Using Creo's software suite, you will be able to take your concept for a new product and adapt it into a full digital prototype. 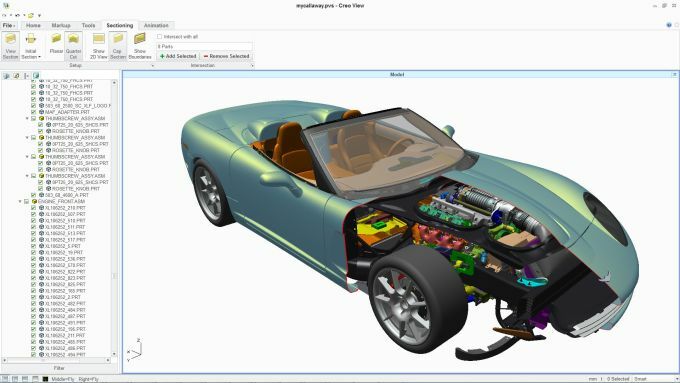 Creo coveres a range of tools: with Parametric, you can design an entire product; with Diect, you can work with basic geomery; with Modeler, you can come up with new varients on your products; and with Elements and Direct Modeling, you can put together a simple prototype in no time at all. Wide range of tools for 3D CAD. The industry standard in its field. Will require time learning to use correctly. What do you think about Creo PTC? Do you recommend it? Why?